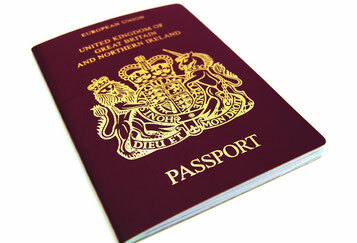 In September 2013 the Spanish government approved the investors’ residency law (popularly known as the “Golden Visa”). The aim of this law is to support both internationalization and entrepreneurs. Basically, this new law enables non-EU nationals to get a residency permit in return for investing in Spain. Of course, investors do need to meet some specific requirements before applying for this type of visa. For example, they must have a clean criminal record in Spain and in the countries where they’ve lived during the last 5 years They also need to show that they are not already in Spain irregularly, have sufficient financial means to live in Spain, and have access to health insurance. The foreign investor also needs to invest in one or more of the following assets in order to fulfill the requirements of the law: buy a property worth more than €500,000; make a capital transfer of at least €1 million into the banking system or Spanish companies; invest in Spanish debt bonds to the value of at least €2 million; or make a major business investment which creates jobs or has a significant socioeconomic or technological impact. For the first year the investor needs to apply for a one-year residency investor visa, which allows you to stay in Spain for up to one year and to travel within countries inside the Schengen community. After this first year investors can apply for authorization to live in Spain for two more years, and then renew it for another two years. In order to apply for visa renewal you need to prove that the investment is continuing and that you have travelled to Spain at least once in the last 12 months. During the first few months of 2014, around 100 foreign investors applied for this type of visa, most of them as a result of buying Spanish real estate worth at least €500,000.